And I'm not even sure I am back, I just wanted to say hello, because you are all so loyal and still checking my blog for updates...so this is it! This is what is on my mind. LA! This year or wait until the spring next year. Meadow will be 4 by then and an easier traveller. But anyway, I digress. Isn't LA ALWAYS the best idea? It's my happy place. What's yours? I will check back in maybe with a Bake House update as lots of work is being done here! Eeeeek! 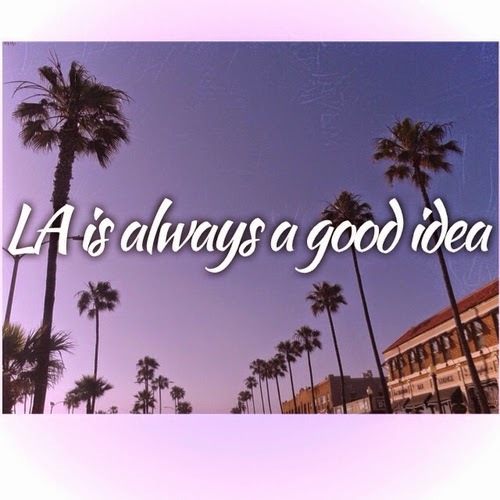 its funny bc LA is one of those places i dont really dream about but once I am there i end up staying a month. my places is new orleans - great food and vibe - you should try and go there en route. Nice to see you again, I suppose if I was in L.A I wouldn't have time for blogging either, I'd be too busy soaking up the sun!